"Plants and people in Mesolithic and Neolithic Scotland"
This seminar focused on continuity and change in the study of plants and people in Mesolithic and Neolithic Scotland, using archaeobotanical synthesis as a source. Plants are an important source of information in the archaeological record, and can inform us on areas such as past subsistence, for example. Plant remains are the most direct source of information for human plant use, and can show local and regional variation of plant use. There are a variety of reasons which led to Scotland being chosen for this research. It is the furthest North-Western point in Europe. It was the last area in this region to develop agriculturally. It has a variety of environments, from lowlands and highlands to islands. These are very diverse and challenging environments for the transition to agriculture, and led to variability in agriculture. The traditional view of these periods is that a hunter-gatherer society was typical of the Mesolithic, which spans from circa 8600-4000 cal. BC, while a farming society was typical of the Neolithic, which spans from 4000-2500 cal. BC. It is taken that the transition between these two periods was an abrupt period of change during the early Neolithic. This view is increasingly challenged due to evidence of Mesolithic fire ecology, pruning and the management of crops and plants to benefit society. This was done for reasons such as attracting wildlife and to encourage beneficial plants to grow. The management of hazel and oak for food and fuel may have been unintentional or may have been intentional coppicing. The large instance of hazelnut shells at what were most likely seasonal camps may also indicate some large food stores. Isotopic evidence shows rapid economic change at the start of the Neolithic. At the end of the Mesolithic a marine diet dominated, while at the Neolithic this changed to a terrestrially-based diet. This shows the huge impact farming had on Neolithic society. Stevens and Fuller believe there was a late Neolithic decline, in which cereal agriculture declined rapidly, and was replaced with pastoralism. They argue that this is due to climatic deterioration. However, there is evidence of an increase in cereal agriculture in the islands surrounding Scotland. It is unlikely that this would happen if it was not also occurring on the mainland. There was a late Neolithic shift in agriculture, as wheat farming became less common and was replaced by increased barley farming. This was most likely due to the wetter climate which was better suited to barley production. This change was also evident in southern Scandinavia and England. Other crops were also abandoned in favour of those better suited to the wetter climate, which indicates that this change was climatically driven. However, there are also theories that this was due to a lack of access to certain types of cereals. In conclusion, there is evidence of the routine and systematic exploitation of plants in the Mesolithic, which is specially shown through hazelnut remains. Cereals were important in the Neolithic, although wild plants were still used. The presence of hazelnut at most sites indicates that plants were routinely and systematically exploited in the Mesolithic. Hazelnut shells may show evidence of large instances of seasonal storage. Sophisticated plant management strategies such as coppicing may have been used. 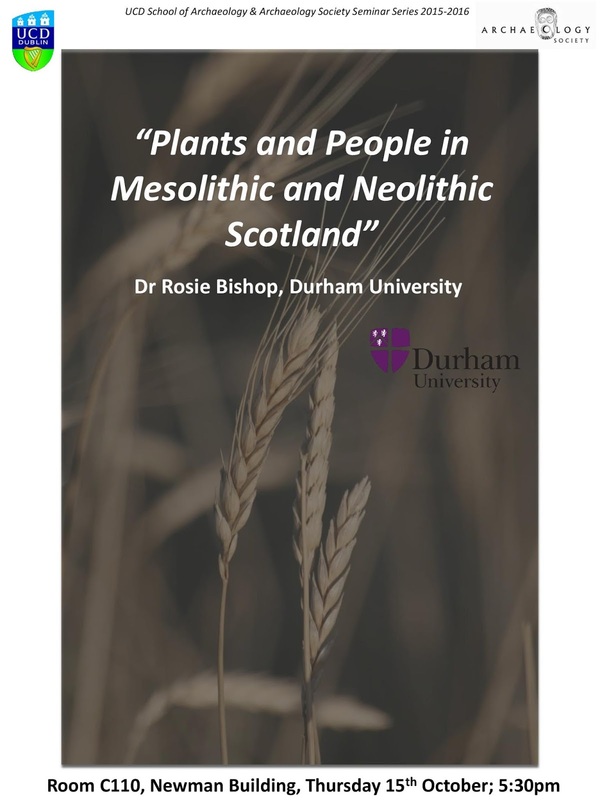 The management of plants played an important role in Mesolithic and Neolithic societies, although more so in the Neolithic, while the reverse is true for the use of wild plants.